Download the electronic version (PDF) or browse the online version below. After joining this relatively young Corporate Information Security Group, the challenge was to build a risk management program from scratch while still keeping operational projects on track. Responsibilities included preparing the organization for a Level 2 SAS70 certification, interfacing with the SEC during regular audits, developing global security standards and guidelines, and working as a senior incident coordinator. This role also entailed developing a layered enterprise information security architecture and risk assessment framework to define a process for consistent security control identification and implementation for both corporate and product services environments. Enterprise Security Architect, Federal Reserve Bank System - Extended project to develop reference architectures, design patterns, and risk analysis models to define national standards for network flow control. Digital Forensic Investigator, Mid-Sized Retail Company - Lead an investigation of a suspected internal system compromise. This included gathering and analysis of evidence, and reverse engineering of malware. 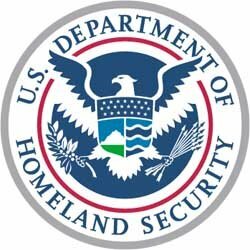 Security Operations Consultant, New Hampshire State Agency - Performed a gap analysis of their incident response capability by identifying deficiencies, and developing policies and workflows to manage incidents. The primary responsibility of this position was to deliver security and networking deployment services, integration, security patch management and other technical consulting services to meet customer needs. Multi-product projects involved the design and implementation of security and networking technologies such as load balancers, SSL VPNs, DNS appliances, and secure authentication systems into existing or new environments at customer sites. Responsibilities also included developing and delivering professional high quality post-implementation production support documentation and conducting knowledge transfer sessions with customers. Supplied technical support for firewall systems, performed network troubleshooting, and provided consulting services to various government sites within a Department of Defense research network. Typical assignments have included application of security policy, design of network architecture, testing of network hardware, and implementation of security devices such as NetScreen firewalls and network IDS systems. In addition, this position has provided me with extensive experience with other network security related hardware and software including Cisco and Nortel. In support of these devices, I have developed custom tools and applications to ease management tasks and provide incident reporting to customers. Supported the Worldwide IT department for preparation of business cases and performed security testing and assessment of new technologies to fit business needs, focusing specifically on global enterprise network technologies and project management methodologies such as PMBOK. Typical assignments included systems security testing, remote access configuration, network/server administration, and custom application development. As the Lead Developer for the Emerging Technology department, I designed and developed secure web-based enterprise applications to support the diverse business units of MeadWestvaco. Implemented and maintained a multi-network environment and participated in forensic investigations in support of three multimedia labs in a Macintosh and Windows NT based environment for the LLC Department of Georgia Institute of Technology. Performed security audits for client workstations, diagnosed and documented technical issues, supported financial applications, and provided multiplatform help desk support for trading floor networks and clients. This position afforded me extensive experience supporting the demands of a high availability environment, and gave me the basis for the broad and specific toolset required to succeed in the financial market. 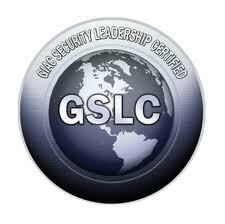 Course author and instructor for the MGT 442 Information Security Risk Management course. Instructor in the SANS Local Mentor Program in the SEC 508 Systems Forensics, Investigation, and Response course. Technical reviewer for the new SEC 427 Browser Forensics course. 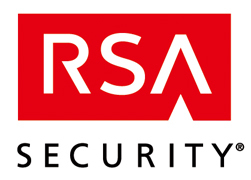 Contributed courseware content on risk management, attack methods, data retention concerns, and USB device security to MGT 512 Security Leadership Essentials for Managers, in an effort to revise the course to meet CompTIA objectives. This site was originally designed as a supplement to my mentor sessions for the SANS Institute. However, it has evolved into the parent site for my blog, which focuses on my areas of interest in the field of Information Security including: Risk Management, Digital Forensics, and Security Architecture, and a great launch point for several other projects such as my graduate classes, SANS course development, and recently published book. Copyright (c) 2011 The Ossie-Group. All rights reserved.